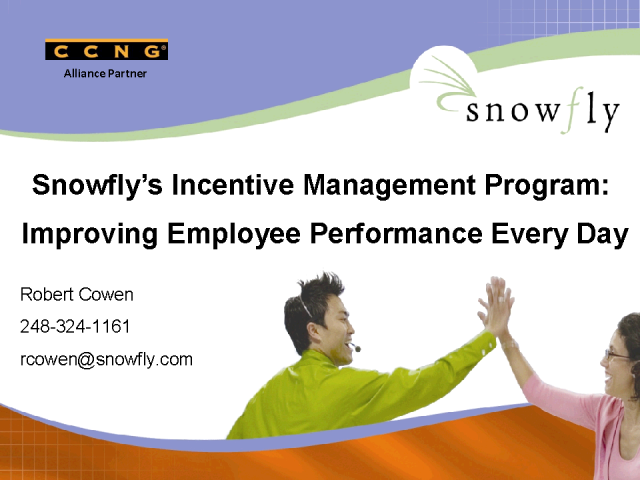 CCNG talks with Bob Cowen of Snowfly about their call center incentive program....Snowfly’s unique and powerful agent incentive program. You will learn how the right amount to spend on agent incentives to gain the maximum improvement in KPI’s without busting your budget. You will also see the four principals required for a successful program and view typical results. Snowfly will also show you how to access their excellent library of industry research, white papers and case studies.